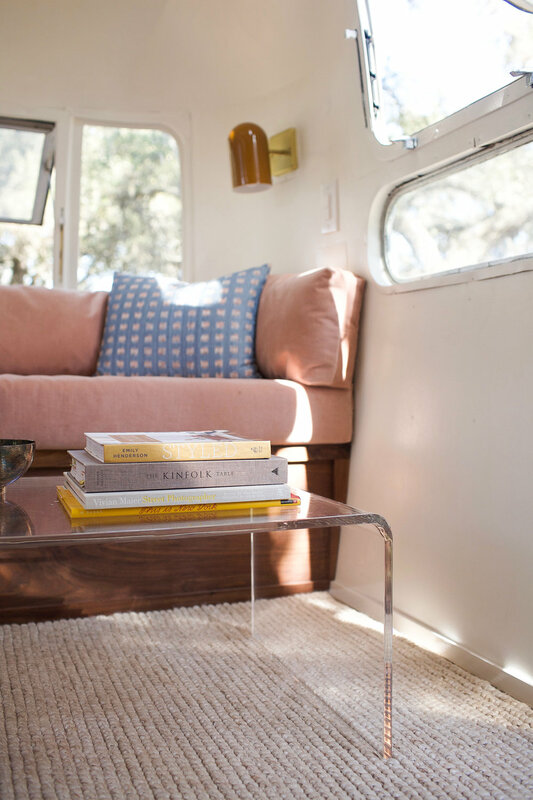 The blush pink velvet dream. 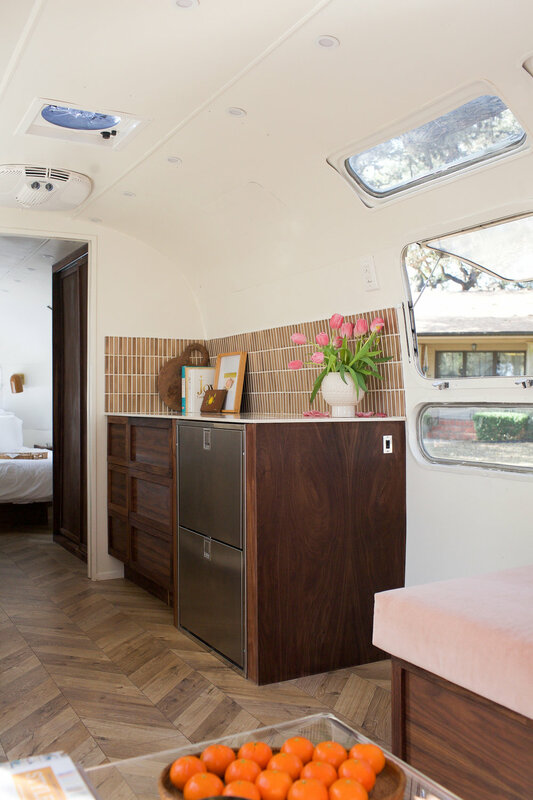 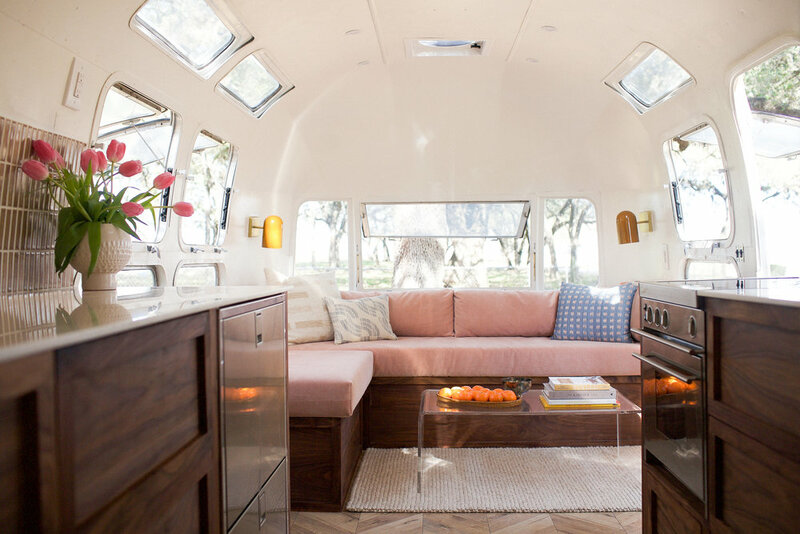 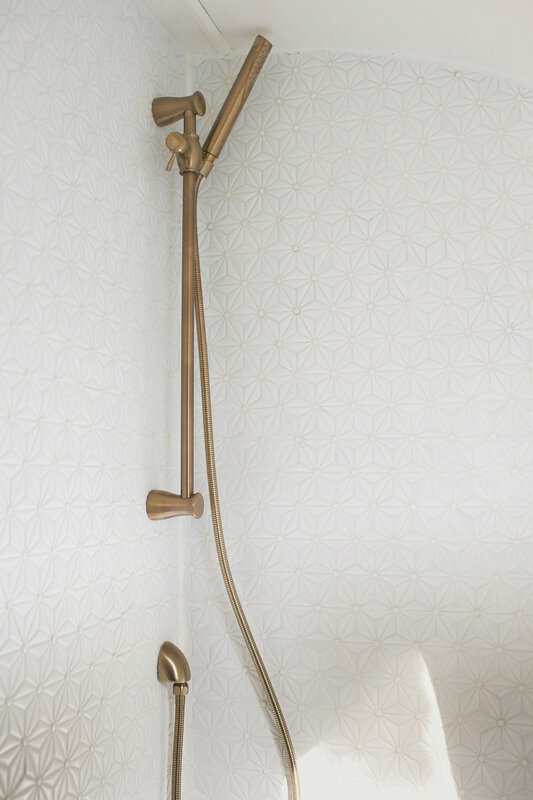 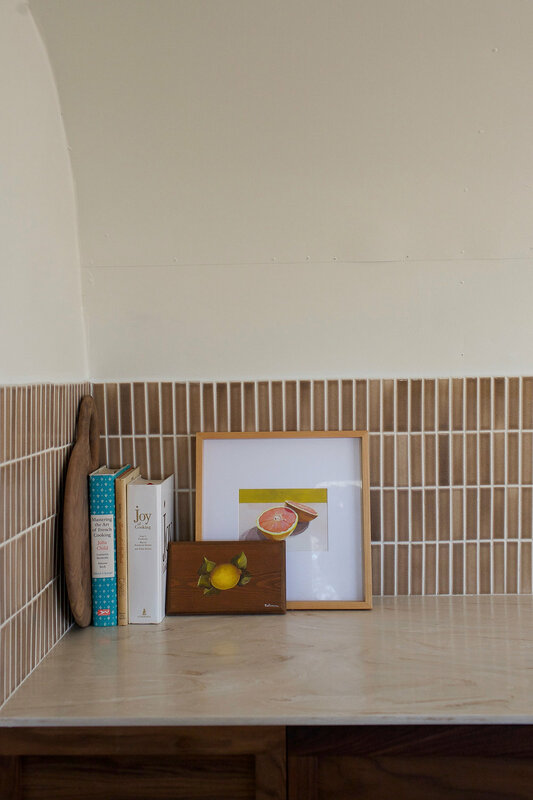 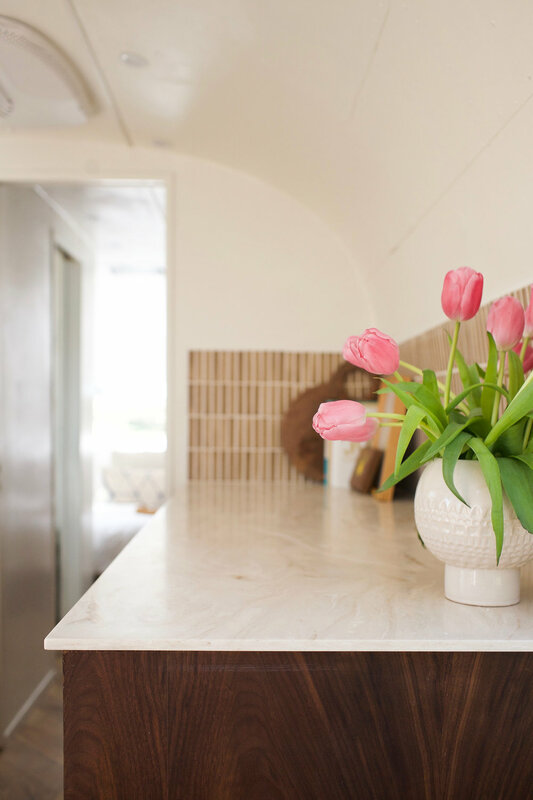 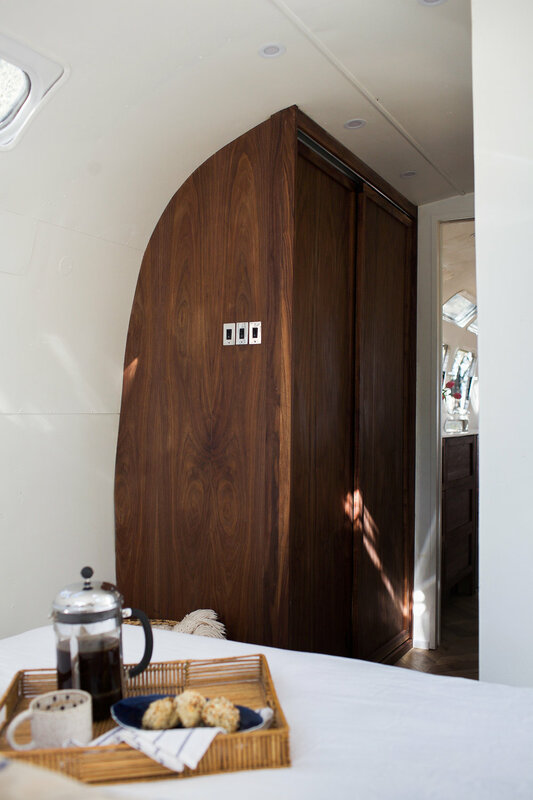 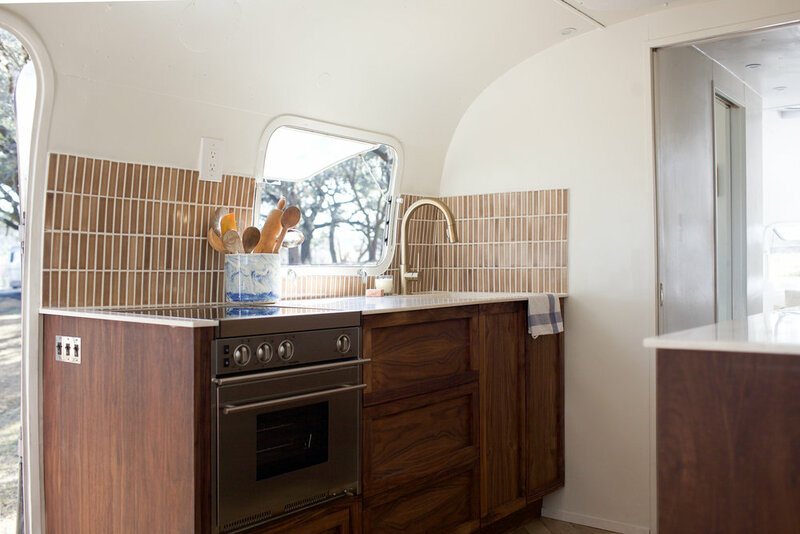 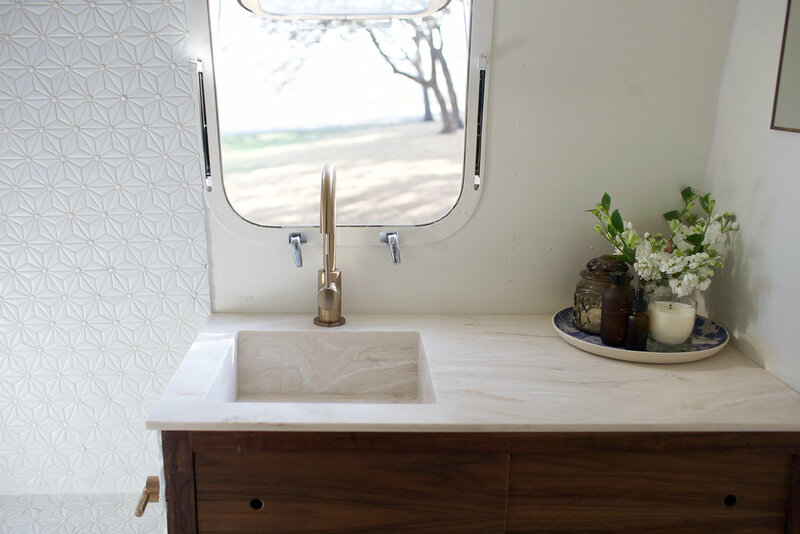 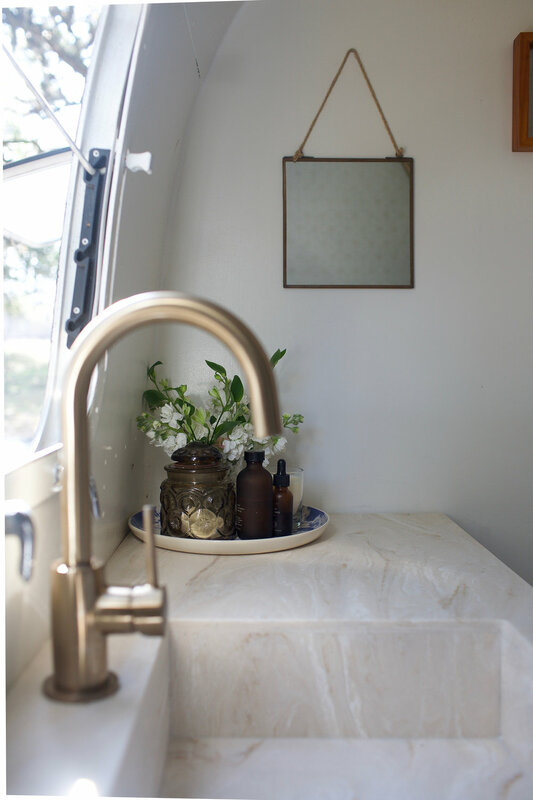 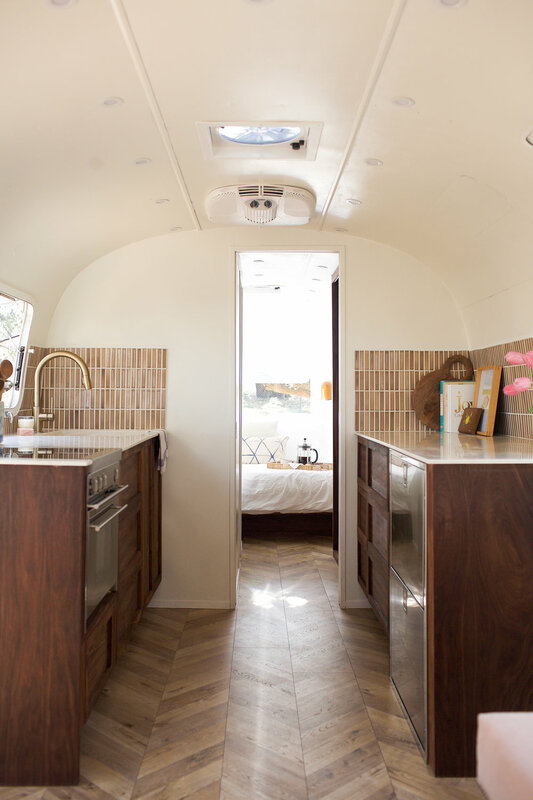 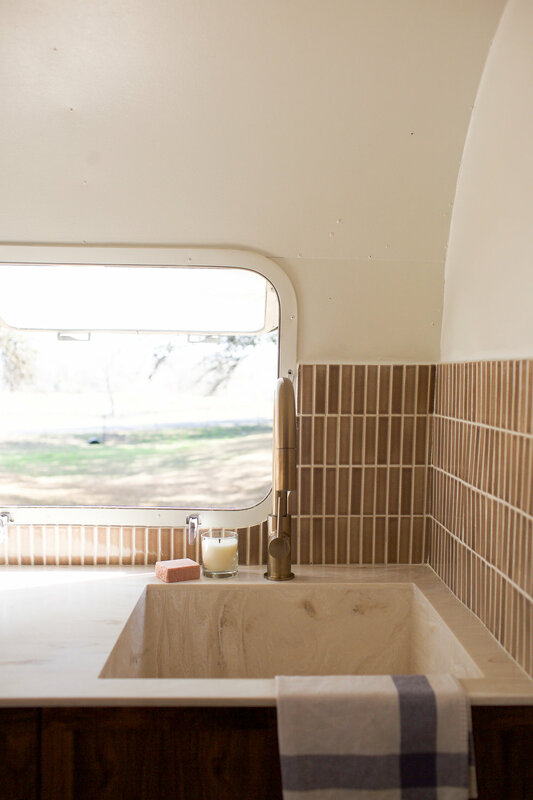 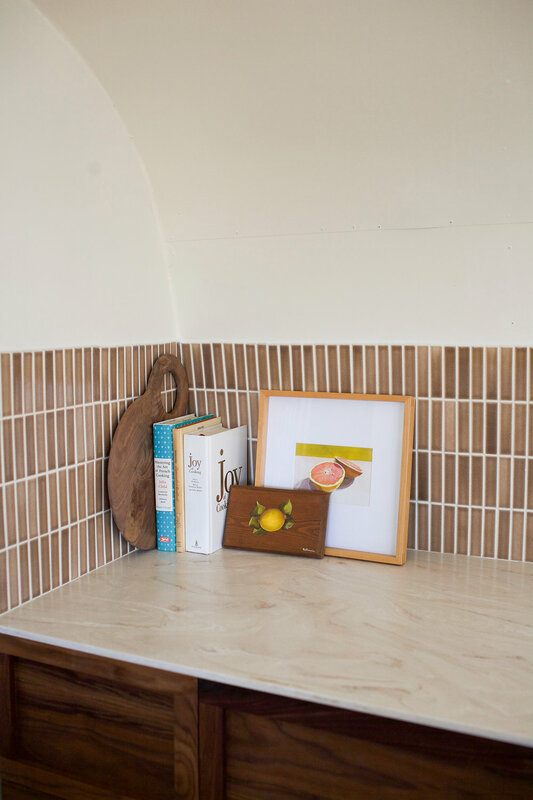 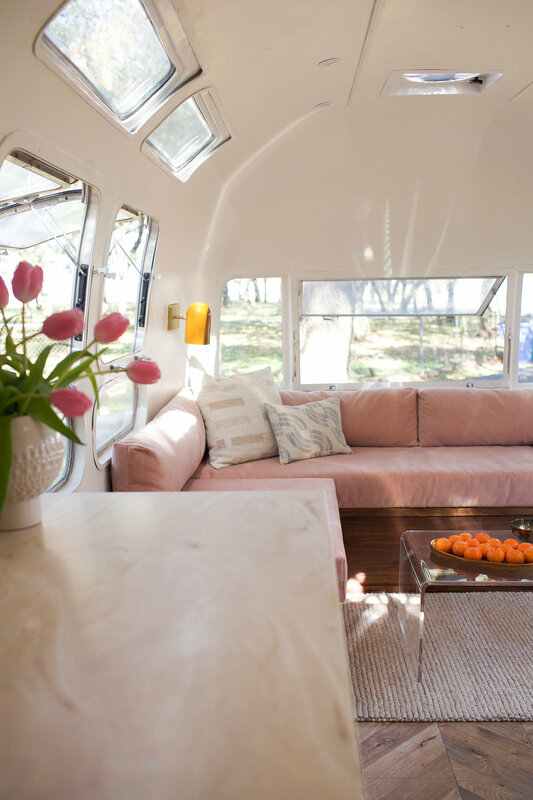 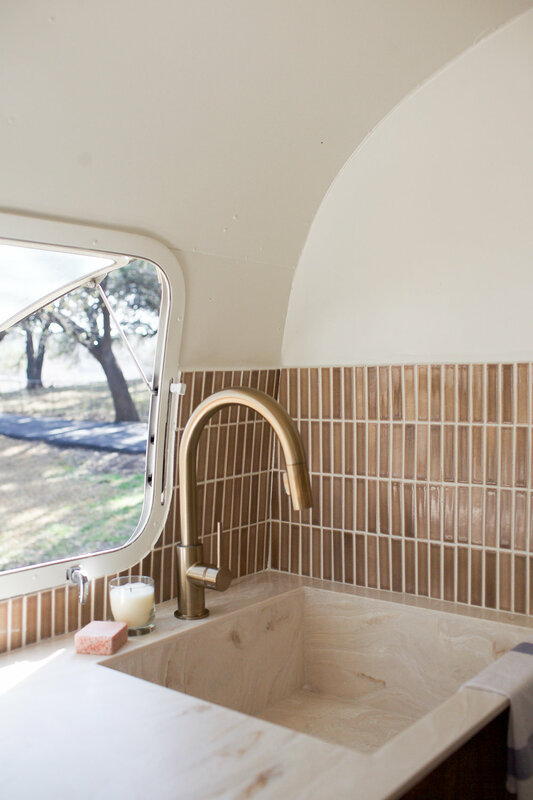 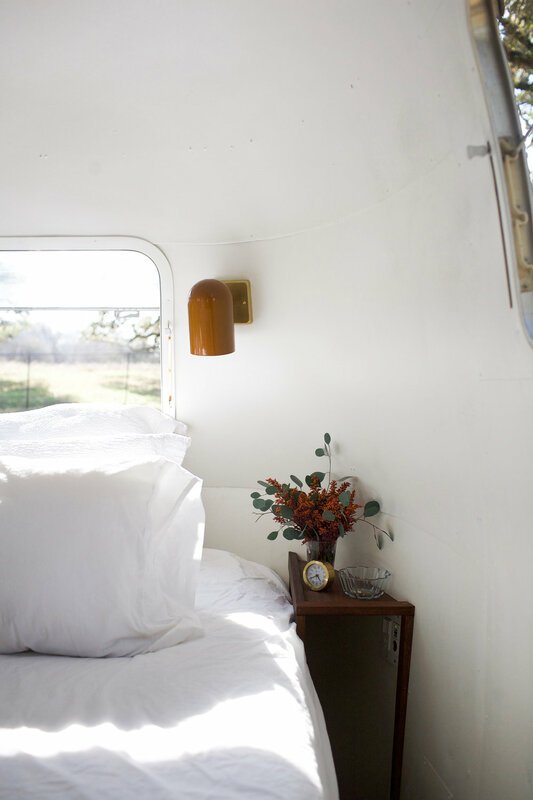 Isla was a full gut client renovation that was particularly difficult to tackle, as one half of the Airstream was poorly constructed entirely out of Olympic rivets, with large gaps off the factory line between the skins and windows. 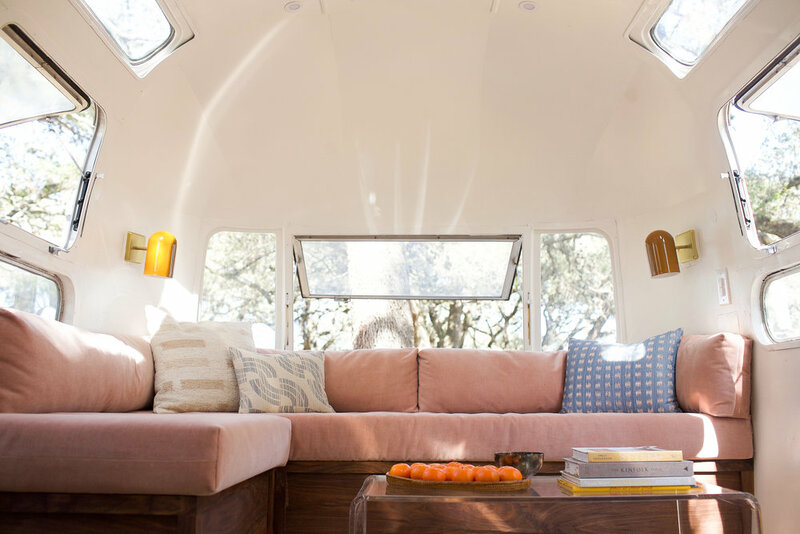 Waterproofing, full window restoration, and initial polishing of the salt-pitted exterior were completed prior to our best build yet. 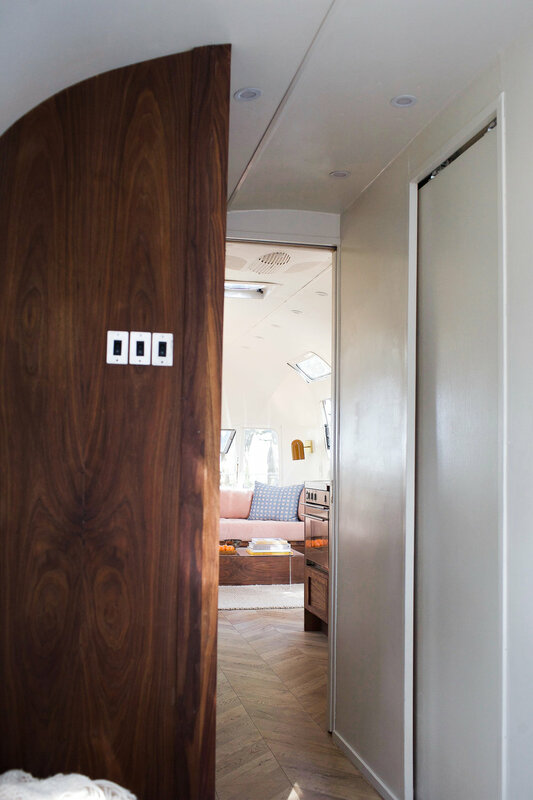 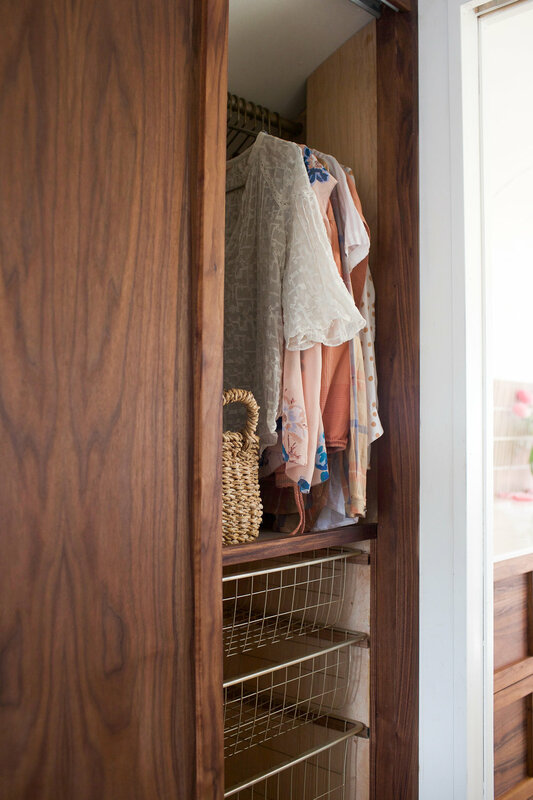 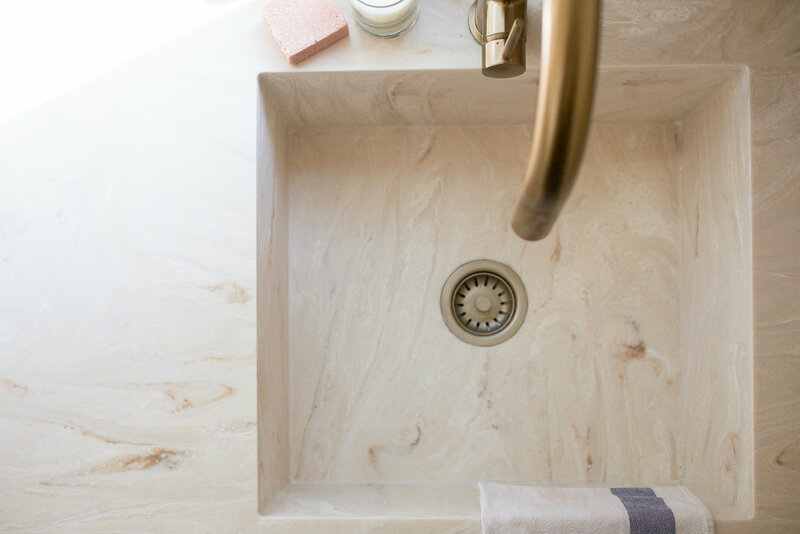 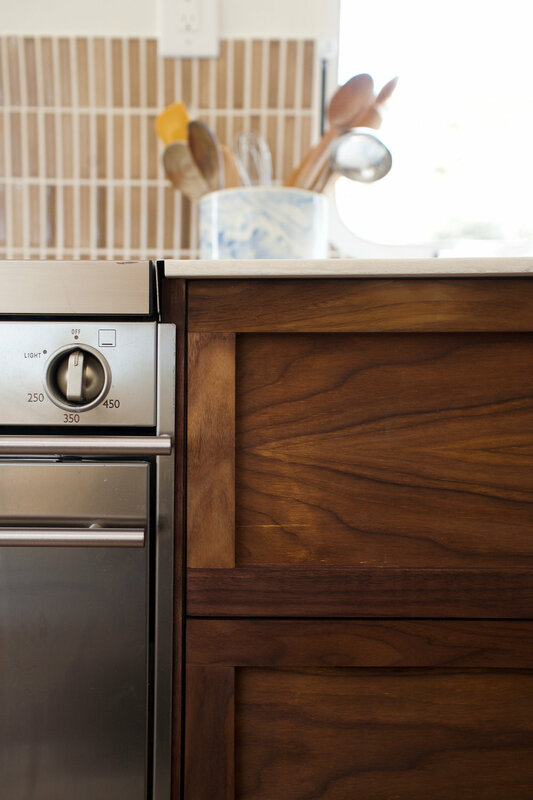 Every single aspect of this renovation is completely custom, and yes, those cabinets were crafted in-house by our master woodworker, Ellen.